I was part of the management team of a regional environmental consulting firm when a colleague informed me of actions a few of my peers had taken that were at best unethical, if not illegal. Unfortunately, the revelation came as I was rushing to finish up things before heading out on vacation. So rather than speak to the implicated individuals about the matter, I sent an email to the management team expressing my concern. The email was heartfelt and carefully worded to avoid a confrontational tone, but woefully ill-advised nonetheless. The morning I returned from vacation, my boss called me into his office and fired me without explanation. Since I had been offered stock options only one month earlier, my termination was a stunning turn of events. I've always assumed the email led to my sudden demise. That's one of many email miscues I've experienced over the years (thankfully, most involving someone else's poor judgment!). No doubt you've seen it happen as well, and perhaps even contributed to the problem. Sometimes the result is embarrassment or aggravation. Sometimes there's confusion. And sometimes imprudent emails can have far more serious consequences. Limit email to straightforward exchanges of information. Focus email on conveying information that is easily understood and objective—meeting notes, agendas, updates, simple instructions, and news that is unlikely to stir controversy or anxiety. Email is also useful for transmitting attachments or summarizing previous meetings or conversations. Avoid any email that is potentially emotionally charged, controversial, or confusing. Such information is best conveyed face to face, or at a minimum, by phone. Voice tone can be critical in delivering such messages. Plus you want to make it easy for people to ask questions or provide immediate feedback. Email is not a good medium for sensitive announcements such as a merger or acquisition, major policy change or reorganization, or personnel action. To help staff develop discernment about when it's appropriate to use email, it's suggested that you provide both positive and negative examples—generic ones, of course. Don't assume that your email will be read in its entirety—or even at all! To sort through the glut of email, many determine which to read based on the subject line. Be sure to use an informative subject line, perhaps one that doesn't even require opening the email (e.g., "Important Staff Meeting on Tuesday at 2:00"). Marking an email as urgent is probably less effective than noting it in the subject line (e.g., "Important: Please Read Now"). Consider who should send the email if it's important; a message from the president is more likely to be read than one from his secretary. Using the delivery receipt function is helpful, but confirming that the message was actually read and understood is better. Make your email skimmable. People usually don't read email—especially longer ones—word for word. So make your most important points readily skimmable. Use headings, bullets, boldface type, short paragraphs, and graphics to facilitate rapid communication. Be as concise as possible. If the message requires more than 4-5 paragraphs or bullet points, consider delivering it another way. At a minimum, delay sending more complex emails. The convenience of email leads to most of its abuse. People fire off messages without adequate forethought or review, learning only after it is sent that it was misworded or confusing or perceived as contentious. Any email that involves more than the simplest communication is best drafted, saved, and then reviewed some time later before sending it. If you're in a hurry, have someone else review it. Give special scrutiny to company-wide emails. I've known several CEOs and other executives who routinely send out poorly planned and written emails to all employees. Depending on the firm's size and the sender's writing ability, such emails can create more problems than they solve. It's a good idea to subject such emails to a third-party review, especially if they're potentially sensitive in any way. 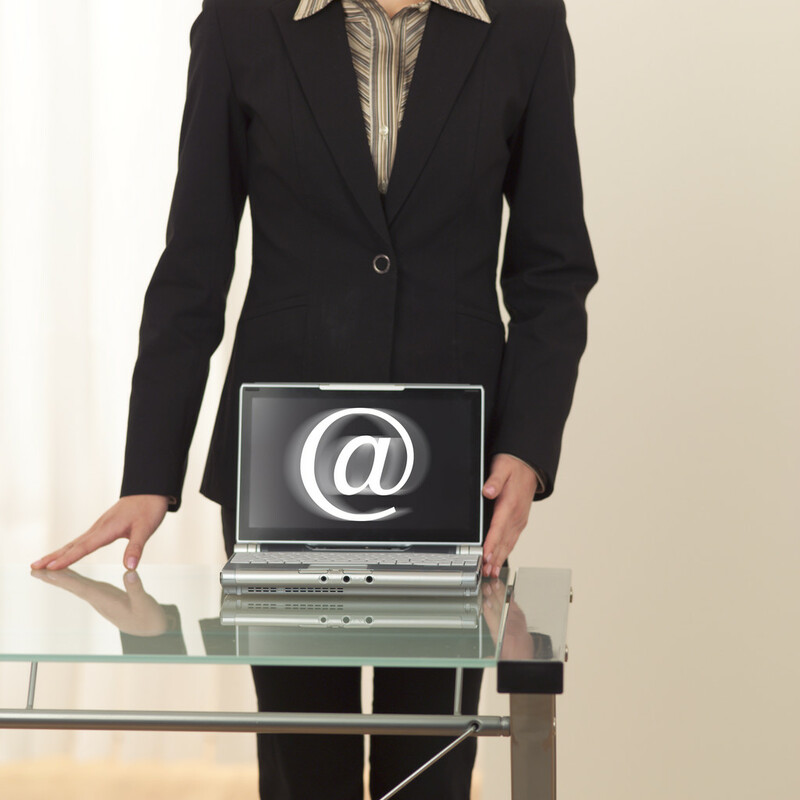 Be sure employees understand the potential liabilities associated with email. Emails are discoverable in lawsuits. They can be construed as an express "contract," or proof of discrimination or harassment, or evidence of an inadequate standard of care for project work. If your firm lacks a policy for legally sensitive emails, or the storing and archiving of email, you could be exposing your firm to substantial liabilities. Consider periodic "email holidays" in your office. I read an article about a CEO of a small consulting firm who mandated an email-free week among his staff. They were not allowed to email each other during that time, instead having to rely on the old standby of actually talking to each other. You could argue about the short-term impact on productivity, but the firm found that it forced them to reconsider the appropriate use of email. The long-term benefits of the email holiday were substantial. I encourage you to try it within your office, where face-to-face communication can be readily substituted, and see what revelations emerge. You may well discover that it helps curb the careless, and sometimes harmful, use of email.